I wonder if the ice is out yet on the ponds. Lets check it out on the Campers Forum honey! Is a kayak/canoe REALLY a boat? 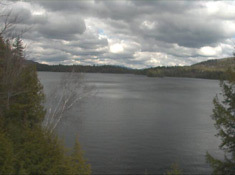 Enjoy 52 high definition videos taken at Fish Creek and the surrounding areas. Over 7 hours of footage! 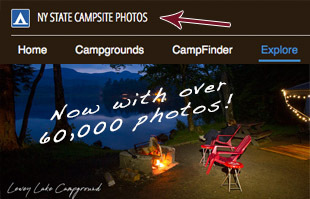 The popular Campsite Photo Guide and accompanying tools provides easy access to individual campsite photos, and details. Camping at Fish Creek? Be sure to add your trip to the Campers Calendar. See who else will be there at the same time and meet other forum members! There are 184 days left to camp at Fish Creek this season! Lets get camping!! 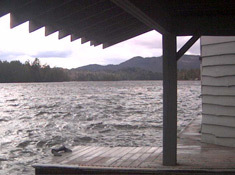 Rollins Pond is closed for the season as of Labour Day weekend, but reopens in 22 days on Fri May 17, 2019. Reserve America is taking reservations for dates between Sat Apr 27, 2019 and Sat Oct 26, 2019. Reservations are now available for all dates this summer at Fish Creek through Sat Oct 26, 2019. The Trading Post opens Fri May 17, 2019. Hickoks opens Fri May 17, 2019.